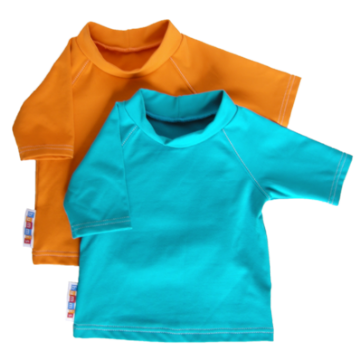 Bummis has been asked to make coordinating sun protection gear ever since they launched the Swimmi in 2010. The Sun Hats come in two styles and match the prints of the Swimmi. The UV-Tees come in two block colours which coordinate with every one of the Swimmi prints – you'll be hard pressed to decide between the two!